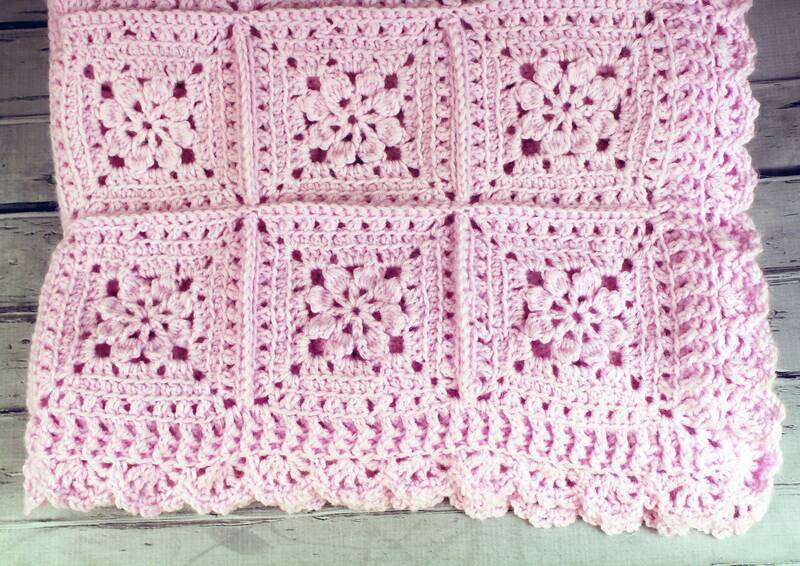 Beautifully crocheted baby blanket afghan. 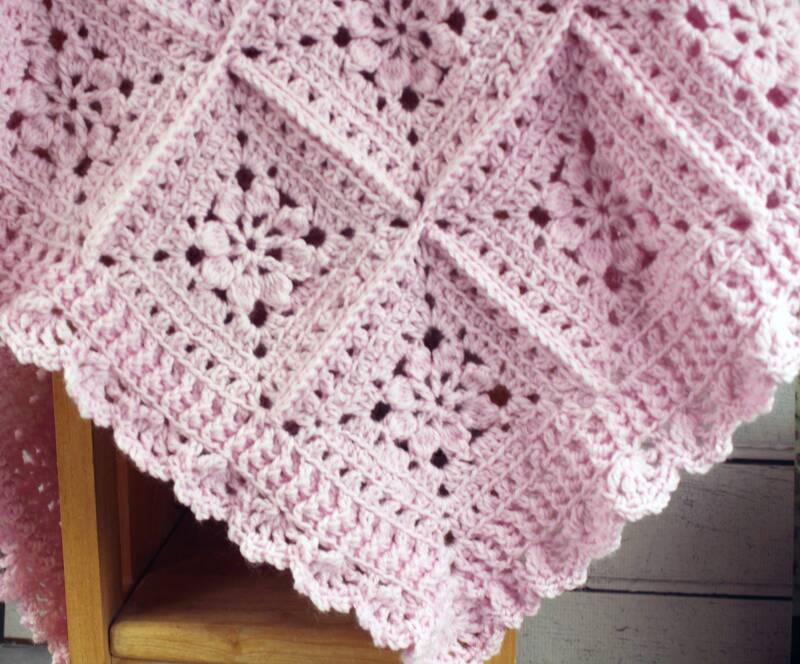 I used Acrylic yarn in pastel pink. Machine wash and dry preferably on the gentle cycle in a laundry bag to protect.